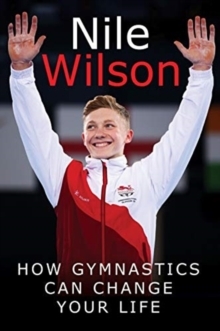 Nile Wilson first shot to fame in 2014, when he became the only British gymnast to win five gold medals at the European Junior Gymnastics Championships. The same year, he won four medals as a senior in the Commonwealth Games and is the current Commonwealth Champion on the horizontal bar. In 2016, he won bronze at the Rio Olympics and is tipped to win gold at the next World Championships and Olympics. He has recently won three gold and two silver medals at the Gold Coast Commonwealth Games. Nile is also a YouTube sensation, with over 750,000 subscribers to his channel. His videos are not only educational, but also highly entertaining and to date have been viewed over 45 million times! Nile is very passionate about his sport and works tirelessly to encourage more people to get into gymnastics. His book will be a guide for anyone new to the sport and will show just how easy it is to get and stay fit using gymnastics.